There has been much consternation about the Bribery Act and its long arm jurisdiction over overseas businesses if they “carry on business in the UK”. In our experience if a Bribery Act (or today’s equivalent) offence is triggered (1) the UK is unlikely to be the only investigator and prosecutor interested and (2) other UK laws, for example the Proceeds of Crime Act, will need to be considered. We wrote a series of articles about the UK’s long arm jurisdiction last week, including Q & A with Richard Alderman, a report on recent speeches given by Richard Alderman and Chris Walker (Head of Policy at the SFO) and finally in our Ask Barry & Richard column. To take just a few recent examples, BAE involved the UK SFO and the US DOJ while Siemens involved the US DOJ and the Munich prosecutors office in Germany. The case of Mr. Dougall (who was jailed last year) involved the US and the UK. David Mabey (jailed last month) formerly of Mabey & Johnson was another case involving which revolved around United Nations sanctions busting and kick backs paid to Iraq when under Saddam Hussein’s control. The list goes on. 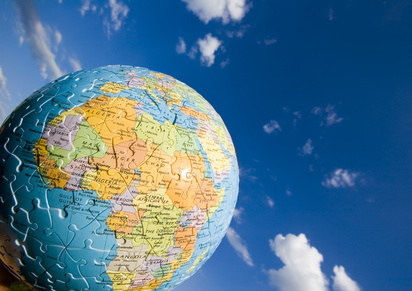 If faced with a question about the possibility of overseas bribery it will be important to consider the bigger worldwide picture and understand where the UK law analysis fits within the wider jigsaw. That jigsaw will include the laws of the jurisdiction where the suspected act takes place, the UK and potentially other jurisdictions, including the US, the jurisdiction of incorporation and any jurisdiction where the corporate(s) may be regulated (for example if it is a regulated financial services firm or has its securities listed on a local exchange). In our experience jurisdictions through which any money or assets passed relating to an allegedly corrupt transaction(s) can be added to the list of those jurisdictions who are also likely to be interested. The jurisdiction where the alleged tainted assets finally land and remain will also likely have an interest. We have seen that, outside of the UK, the temptation to swell the coffers of the local treasury with allegedly tainted assets can be too tempting to pass up. “exposure does not, of course, end [with the UK]. You also need to think about the US Department of Justice as I am sure you already do. The DOJ also has a wide ranging jurisdiction which it asserts very vigorously. Your problem in another continent can suddenly be something that brings you into contact, not just with the Belgian authorities but with the UK and the US. This multiplies your problems. This is because you will start to wonder whether or not the authorities talk to each other and how you are going to resolve issues and move on. Indeed, you are likely to have to worry about whether you are going to end up with a corruption conviction in the UK that is going to debar you from tendering for public works in the future…. ….Examples of what we have been doing with the US authorities can be seen from a number of the cases that we have brought to our courts…. Our experience over the years confirms that allegations concerning corruption frequently involve a heavy international focus and we routinely liaise with our colleagues and co-counsel in numerous jurisdictions as a result. One of the primary reasons we enjoy advising in this area is the challenge of dealing with numerous jurisdictions and their different laws and approaches. Don’t fall into the trap of a blinkered approach when it comes to the Bribery Act. It’s just part of a much bigger picture.